Fort Tryon Park is your Outdoor Gym! 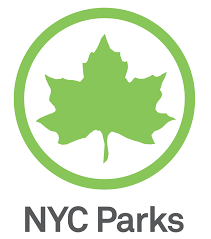 Join us to participate in free programming funded by the Fort Tryon Park Trust. The historic 67-acre park overlooking the Hudson River is a great place to be physically active while enjoying nature and spectacular views. The park has over eight miles of paved paths for walking, jogging, and running. Bicyclists may enjoy the one mile bike lane along the park drive. Additional amenities include: two playgrounds, basketball and volleyball courts, two workout stations, ping pong tables, and lawns for playing catch, Frisbee, and tag. You can also use one of 42 staircases for your workout. Being physically active in nature is good for you mentally and physically – and active adults set a good example for kids. Playing outdoors helps develop better motor skills, health and fitness, and can create a life-long appreciation for outdoor activities and the environment. 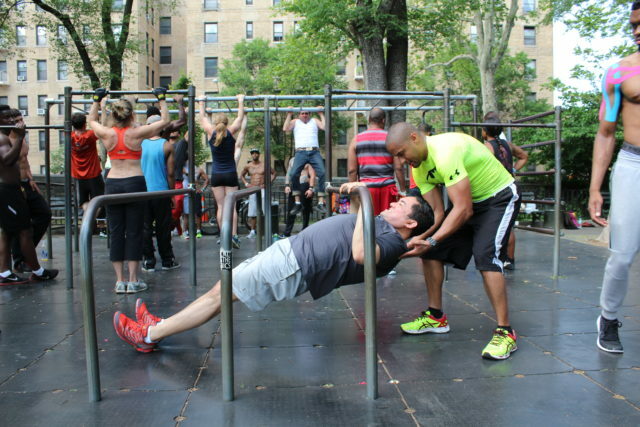 The Fort Tryon Park Trust believes in the benefits of staying fit out of doors, and provides funding for many exercise programs, some which regularly recur every week of the year. Tai Chi aims to stimulate and balance the flow of Chi (pronounced “chee”), a Chinese word meaning vital life energy. It combines movement, deep relaxation, and breathing. Studies show that practicing Tai Chi regularly can reduce stress and increase circulation and resistance to disease. It has also been shown to improve range of motion, posture, and cardio-respiratory health. The park has an all-star round-up of local yoga instructors. We also have a mixed-age class for infants to six-year-olds and their mothers or fathers. The idea is not just fitness, but bonding between parents and children – and fun. Studies show that yoga is an effective way to reduce stress; increase your strength, flexibility, balance, and range of motion; and help you manage many health conditions, including heart disease, insomnia and depression. Nancy’s classes meet Tuesdays and Thursdays, 7:30 a.m. to 8:30 a.m., and Saturdays, 8:30 a.m. to 9:30 a.m., at the entrance to the Heather Garden on Margaret Corbin Circle where Cabrini Boulevard and Fort Washington Avenue converge. Please complete the Fitness Walking waiver. See below for fun and informative videos! 1. It’s quieter than the gym. No clanging weights or loud music. 2. It smells better than the gym. Flowers instead of sweat. 3. It’s free. Your taxes already pay for it. 4. It’s better for the environment. No equipment, no materials, no fuel needed. 5. It helps you get vitamin D. Many Americans are deficient. 6. It’s more relaxing than indoors. Natural light and nature induce endorphins, those feel-good brain chemicals. 7. It’s family-friendly. No child-care needed. 8. It’s couples-friendly. An active alternative to dinner and movie. 9. It takes less time. No commuting, no special clothes needed. 10. It feels more like play. And play is good! Follow us on Facebook for up-to-the-moment information about programs, changes and cancelations. Gardening and beautification tasks are another great way to get fit. Click here to find sign up details. Donation Text Header We are able to sustain this free public programming through donations. Please consider giving today! Workout station located at Dyckman Street & Broadway. 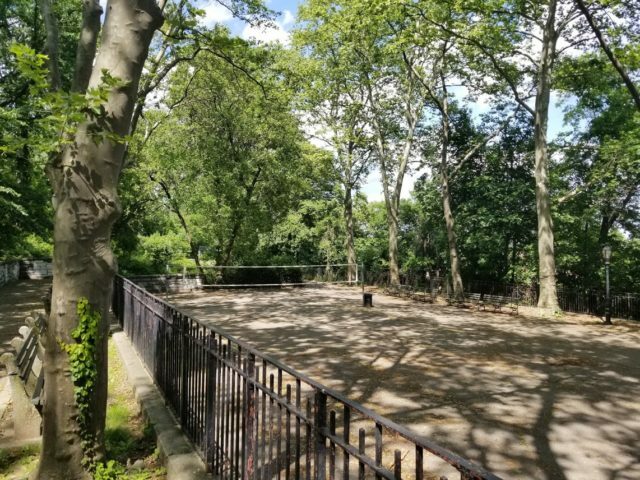 There are four free outdoor ping pong tables available on a first-come first-serve basis next to the entrance to the A train at 190th Street and Fort Washington Avenue. 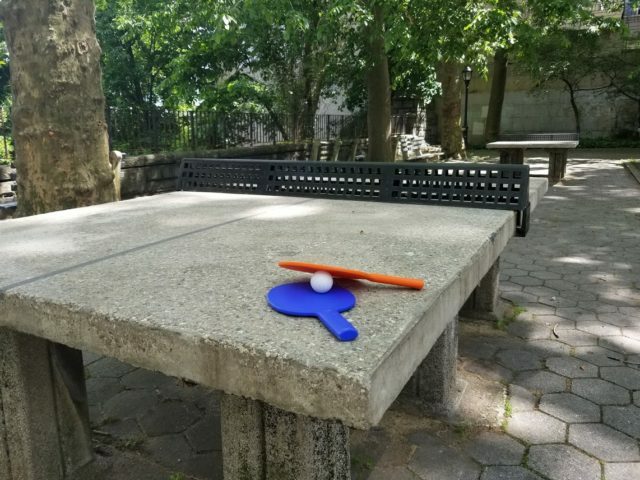 The Fort Tryon Park Trust provides paddles and balls – stop by and play in Fort Washington Terrace! Nets are set up by the outdoor court at Fort Washington Terrace just beside the entrance to the A train at 190th Street and Fort Washington Avenue. We are able to sustain this free public programming through donations. Please consider giving today!